March is upon us. It looks like we can look forward to an early Spring. 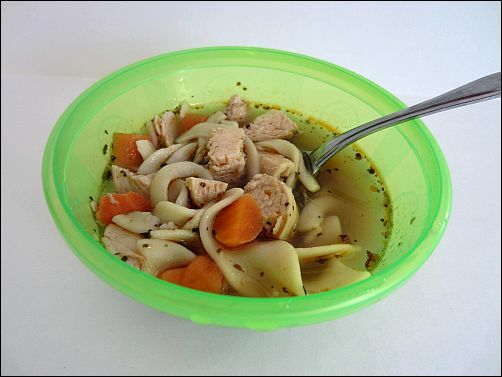 But just in case we get one more cold front, warm the kids up with a bowl of homemade Chicken Noodle Soup. St. Patrick's Day and Easter are both heading our way. Get in on the fun by preparing a craft for the kids. And finally, don't wait till the last minute. 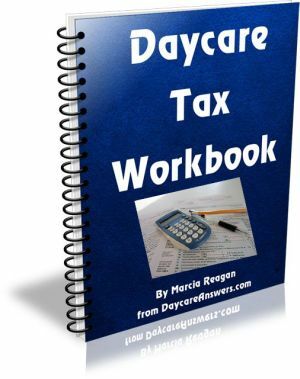 Get started on your daycare taxes with a copy of the Daycare Tax Workbook. St. Patrick's Day is fun for the kids, whether they have Irish heritage or not. 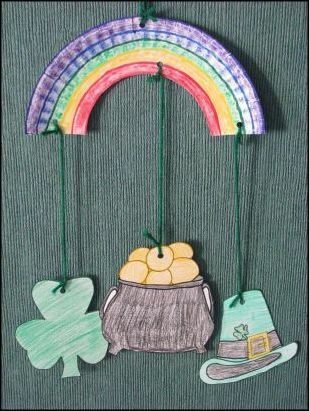 In addition to dressing in all green and wearing shamrocks, the kids will love making a St. Patrick Mobile to adorn their homes for this festive Holiday. There are a variety of supplies that can be used for the coloring making this project fun for all ages. Easter is an eventful time for kids. Visiting family and hunting for eggs can cause a lot of excitement. Channel this energy by engaging them in an Easter project. Easter Egg Caterpillars are easy to make for little hands and tons of fun to play with after. It's time to get going on your tax preparation! The Daycare Tax Workbook will get you organized in no time. It includes an end-of-the year checklist, a tax worksheet, parent receipts and more. While spring is right around the corner, we still may have one more burst of cold weather. Chicken Noodle Soup is a classic meal to warm you up from the inside out. This kid-friendly version is easy to make and more nutritious than the canned version.